IBU (Bitterness Units): 90- 100? THREE WEAV3RS BREWING is famous in Los Angeles for being one of the first breweries to be run by women (owner and head brewer), which IS a rarity in a traditionally male-dominated industry. 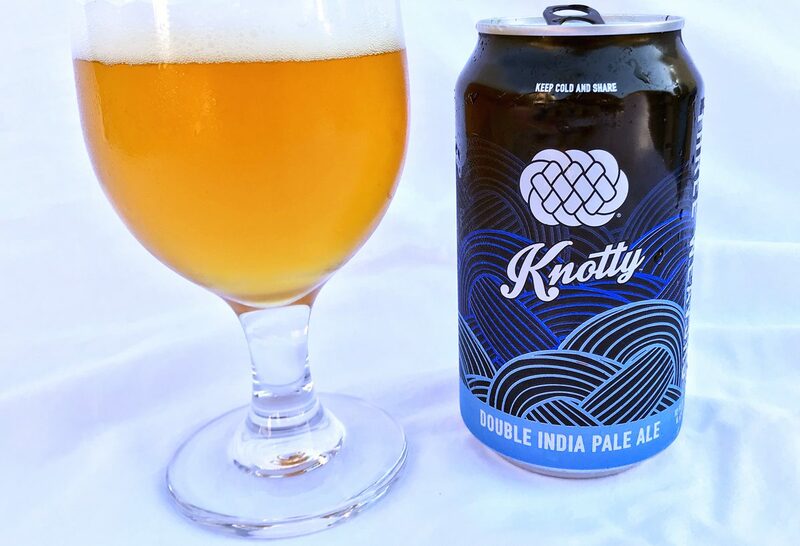 I’ve had several of their offerings—such great stuff!—so I when I came across a 6-pack of their Knotty Double IPA (DIPA), I grabbed it and tried it immediately when I got home. 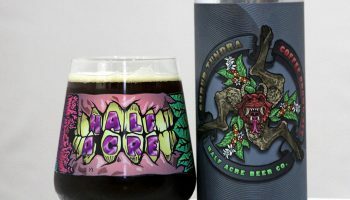 What’s a DIPA, you may ask? You take your standard IPA and cram it with more hops and more malt for balance, which leads to more ABV. Get the balance right and you have one delicious ale. And Three Weavers definitely got this one right. Poured into a glass (because you should never drink good beer out of a can, or bottle for that matter) this IPA has a gorgeously rich golden color—the kind of color that just delights with its clarity and sumptuousness—indicating that this is going to be a delicious drink. The foam that formed was thick enough to float a bottle cap on. The initial whiff test was all tropical and “juicy.” A deeper whiff gave off all of the right scents of a great Double IPA—the mangos, pineapples and citrusy hints of grapefruit with notes of pine intermingling. 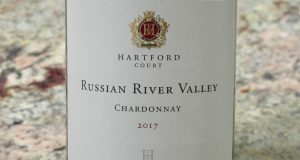 The taste was as expected—a melange of tropical and citrus fruitiness that was nicely balanced by the intense hop bitterness. I hate resorting to this now-cliche adjective for hopped-up IPAs, but, yes, dank would be an apt word for the flavors that settled on my palate long after I’d swallowed that first sip. With the 8.6% ABV, you might expect the alcohol esters to compete with the hops, but the esters were, actually, nicely subdued by the intensity of the hops. The mouthfeel was also not as full as you would expect out of a typical DIPA but retained a crisp and refreshing character that made this one of the easier DIPAs to put down. Overall, the Knotty Double IPA was a full and flavorful ale but not so heavy that you couldn’t enjoy a couple of these. It’s a damn good DIPA. 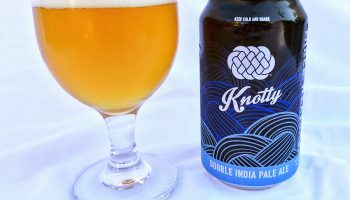 Three Weavers puts out excellent beers and Knotty is just one more exemplary example of what these awesome brewers do. —J.A.